A weekly, all-ages salsa social at Allegro Ballroom in Emeryville. Starts with beginner and intermediate salsa lessons taught by Garry & Isabelle followed by a night of dancing in a spacious ballroom setting. Features salsa, bachata, and timba music. Finally got to check Allegros out, and wow, this place gets packed! This definitely one of the biggest salsa socials in the Bay Area! Allgeros has a very large dance studio, with one large room for salsa and chacha, with a smaller room on the side for bachateros. A lot of the dancers here dance Cuban-style salsa, so if you dance a different style, it can take some getting used to. Parking is plentiful if you come early, but the lot does get full during prime time. Really loved the social here, the only thing I would say is that I felt the intermediate salsa lesson was pretty basic compared to what you might learn at somewhere like Hot Salsa Friday. However, overall a great social, and one of the best places to go dancing on Sundays. Allegro is the very first place I ever went salsa dancing, and I've still got a lot of love for this giant and popular venue. Allegro is a ballroom with an enormous dance floor that gets absolutely packed on Sundays with a fun and really diverse crowed. It's an all ages event and pretty close to several universities so it's one of the few venues that has a bigger representation from the younger crowd. Allegros is also unique in that its one of the few (the only?) venues in the bay area that specifically play timba and cuban style music. As a result you have lots of amazing cuban style dancers and a very different vibe from a mambo club. This is obviously a dance snob that thinks she’s too good too dance with just anyone. Salsa is a SOCIAL dance with people can meet and mingle. The humanity aspect of dancing is that everybody and everyone should learn how to dance. It’s like “buying the world a Coke and keeping it company”– the world would be a better and happier place. Does this person even remember being a newbie at one time and how hard and awkward it was to learn the basic moves? What is worse is some dance snob like this would scoff at helping a newbie out because it would distract from her own self-gratifying pleasure. Yes, do the dance community a favor and avoid coming to Allegro Sunday Night and find a dance partner that can keep up you. Garry Johnson and Isabelle throw a fantastic program here. Yes, there is a beginning class and an intermediate class which pollute the dance floor with mediocrity. So if you are an advance dance snob please avoid this place– dancing here requires too much humanity and empathy for you. This was and still is my favorite Sunday night dance space….and I think this is a great place for On1 and cuban-style dancers. But there is so much Timba and so few on2 dancers, its been hard lately to get excited about it. I wish they would make one of the rooms a “mambo” room! I tried it again. Still the bachata room music goes off and on, and the selections are not my preferred. And the music is still predominantly timba, not salsa. Calling it a salsa night is misleading people – it is a timba night. And it was very very hot. This place has a good huge wood dance floor, another room for bachata, but it needs a better DJ in both rooms. I love to dance – and I don’t mind a few timba songs in my salsa, but call it what it is, a timba night. If you don’t know what timba is, it is a type of music from Cuba where it is danced primarily Cuban style. Most dancers in the Bay area dance salsa on 1 (frequently referred to as LA Style), less than half dance on 2 (often called NY Style). Cuban style is a completely different style that is a more circular – no cross body leads – but excellent body movement; it is not a bad thing – for people who like that type of music. But the promoter is advertising to salsa dancers – and then feeding them timba – bait and switch. It is like advertising you’re going to play top 40 music and instead playing 90% hip-hop. Many people like hip-hop music, but people looking for top 40 music would be pretty annoyed if you play 90% hip-hop. If you want salsa dancers – play salsa, not timba. 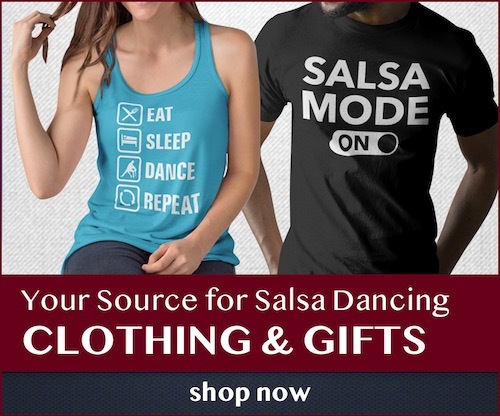 If you are trying to appease all the regular timba dancers and are trying to attract salsa dancers by saying it is salsa – you’re just wrong, because you’re misleading. A lot of timba and not too many good dancers and rarely to see dancers on2. Heard people complaining for a while about too much timba all night long,I think this place has been dying for the last years because they don’t play what many other people like too. Awesome place! Good lessons, spacious separate bachata and salsa rooms, good DJ, nice mix of dancers of all ages, with more advanced and intermediate dancers then beginners. Very busy on Sunday nights, and they have a whole water station room. Lots of free parking! The instructors here are the best in the Bay Area. Lots of room. Free water. Free parking. Good dancers of all types and styles. However, like many other places around the bay, the music pendulum remains stationary on either side of both extremes for long periods of time. Not good. A nice mix of both extremes would go a long way for a better dancer experience. Music torture. I am an advanced dancer who enjoys dancing with dancers of all levels, the floors are large, but 90% timba in the main room, rueda in the small room, and bachata (turns off at times, and i love bachata, but bad bachata choices were played) in the third room. No bueno. After learning to dance salsa here and making many friends enjoying the great floor I’ve come to the realization that Gary and Isabel will never agree on the music and the loss of many many great dancers who attended weekly is a result of the change in the quality of the music that the DJ plays. I no longer go every week I go occasionally to see my friends and dance a little but I no longer feel the excitement and energy when I enter Allegros that used to be present. I remember when there was a line out the door to get in on a holiday night and there would be six or 700 people. Now there are many beginning dancers and by 10:30 the place is clearing out. It’s very sad for me to see this change that is happened gradually. I’m told that Garry won’t stop pushing the timba music and the DJ plays 50% timba according to him and that is to try to satisfy Garry and the small group of timba dancers in the front by the DJ. Many great dancers no longer go to Allegros and others go seldomly. Hot bachata/salsa nights in SF has pulled away many dancers. Great salsa and bachata classes. Really awesome mix of ages, styles, skill set. Most importantly, this place fosters a friendly welcoming vibe which speaks well of this salsa community. There are some places that have lost that ‘love of dance’ feeling and seem to cater to the ‘love of me, me, me’. Check it put. Well I thought that Allegro’s was going to change the DJ and cut out the excessive timba music but it has not happened and less and less people go there. It used to be the place to go 10 years ago but now it just gets people to come sporadically who want to dance and I no longer go every week, it is frustrating to hear so many people tell me they don’t like the music and won’t be going back. It also slows down by 10:30 pm it is dead. The management doesn’t seem to have any control or desire to improve nor do the instructors. Garry seems to control the music and not care that so many people don’t like it. Isabel doesn’t have the power to improve it so she seems to stay out of the salsa area now. Experienced dancers know what difference a good DJ and music make and unfortunately many choose not to go to Allegros anymore. Sundays at Allegros is not the place to go. I read so much about Allegro on Sunday nights, but my Sunday nights are usually booked. Not long ago, I had a Sunday night free, so I went. I haven’t had so much fun dancing salsa since Cocomo shut down. Large crowd in the salsa room, not so large in the bachata room (a bachata lesson would help). There are the snobs, and there are those who just want to dance and have fun; I naturally lean toward the second group. Advanced dancers probably wouldn’t like it; but then, depending on their point of view, they may not like any place. Personally, I don’t want to be the reason a beginner quits salsa because “everyone criticizes me, they tell me I’m doing it all wrong”, etc. When I was a lot better dancer a few years ago, I had the most fun when I was giving my partner a good dance time, making sure she was having a good time dancing with me. I do that at Allegro, and my night goes much better. This is a good event to be at. A lot. I drive from the peninsula to go here. Love the people and teachers and the dance floor / rooms are nice. The teachers are very friendly, every time I pay I’m greeted with hostility though. Not entirely sure why. Guess it’s stressful to check people in?? I’m a complete hit-and-miss with dancing skills but the people are nice and patient. If you’re bored, it’s because you’re boring. You should always strive to be the best at the basics and if your partner is a newb, you should still feel the rhythm and then move your upper body. It can take years to truly master the basics and those who look _good_ in salsa can look good by the basics alone. I often remind myself that, especially after trying to lead. Also, to the guys who get fed up: HEY not our fault, sometimes we just don’t match styles! Allegro people are very nice but I’ve danced with snooty instructors who made dancing more like a punishment. Thank you to the Allegro folks who make this place possible! I can’t really say enough good things about Salsa Sunday Night at Allegro Ballroom. On a Sunday night, there’s not a better place in the Bay Area than here to get your fix of Salsa addiction. I really love the spacious floor space and facilities there. For $12 entry, you can get a beginning and intermediate lesson and admission to the dance party afterwards. You can’t get more bang for your buck except for the lack of a live band. Garry and Isabelle make a fantastic teaching pair. Garry’s humor is really quirky and funny and they both play off each other so wonderfully. They both have zero egos and never take themselves seriously. You can tell that they really do love their jobs. I love many things about Allegros and my biggest complaint has been too much timba BUT after years of people complaining they are changing it to a better balance. The bachata/merengue room is great and there is often a kizomba room going as well. The crowd is a total mix of ages, dance skills and kinds of people. Parking is always possible except when they have the 3rd Sat live salsa event, then go early or park at shopping center across the street! The floor is the best around, spring loaded wood floor, always clean.. Nice new lighting and tables and chairs around the dance floor, big mirror and plenty of room even though there are always hundreds of dancers each Sunday. Where can you have so much fun for only $8 for the social dance or $12 with 2 hour lesson!! Isabelle is one of the best Bay Area instructors and dancers!! I love it.. It’s the best salsa place in the Bay Area. Allegro’s variety in music is improving. Great Sunday night spot for dancing!!! I love this space but I have noticed a decline in the dance skills of late. advanced dancers are not going here as much. It is packed with beginners from the beginning of the night to the end. It is mostly and older crowd with a few college students thrown in. There are no on 2 dancers here at all. It does have lots of parking even if the lot is full there are many side streets to use. Probably the best thing to do is go with someone you like dancing with incase there are not many people who can dance well. Allegro is a wonderful vibrant place, with a pretty even balance of men and women. It gets pretty crowded. The best place to be on a Sunday. The DJ is great, it is a good mix of all kinds of salsa. The dj in the bachata room is great too. In the Kizomba room there is the disco style colorful mysterious lighting; for some reason that room gets really cold from the air conditioning. I should note that the dancing happens fairly early in the evening – the classes end by 8 p.m. (they have an additional class in one of the smaller rooms that goes on later). The regular dancing in the big room starts at 8 pm an it’s already packed at 8, so come early! It goes till 1 a.m.
My only complaint is the stinky air freshener sprays they use in the women’s bathroom. It gives people allergies, they should stop using that stuff all together. One word: Timba!. It is not a salsa night as advertised! If youl like timba, go for it. Salsa is not! Call it timba night! Not coming back unless Salsa is back. My only complaint with Allegro is “too much Timba”. I love Cuban music and consider my dance style more Cuban than On1, but the Timba gets too repetitious. I’ve notice the DJ plays a bit more Mambo and Salsa Dura in the first hour… but eventually he will shift to heavier Timba by 10pm. Not to say it’s bad…but rather a matter of preference. The dancers on the other hand love it. So many wonderful dancers at these socials makes for an enjoyable evening. This is THE PLACE to be on Sunday nights. If you really want to have fun and dance salsa any place should be great! Timba, salsa, who cares! I just go there to dance and have a good time and, believe me, I do! I’ve traveled the world and gone out of my way to seek out salsa venues, and never have I found a salsa venue as welcoming to dance at as our own Allegro Ballroom. Don’t get me wrong, there are a few prima donnas that only accept dances with other experts (they seem to congregate near the DJ), but that doesn’t bother me because I prefer dancing with nice people anyway, and there are plenty of really nice dancers that go to Allegro. Bottom line, Allegro Ballroom is a gem! There’s lots of space, no alcohol so it’s not a pick-up joint, it’s relatively inexpensive, and, unlike many other clubs I’ve been to around the world, people at Allegro are happy to dance with whomever, not just with their significant other.